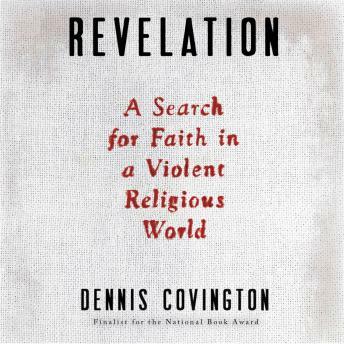 Acclaimed journalist Dennis Covington examines how faith and violence shape our world. In war zones witnessing widespread conflict, what makes life at all worth living? When chaos becomes a way of life in places where religion and violence intersect, what do people hold on to? If religious belief is, as Christopher Hitchens argues, the cause of wars and genocide, then is faith the cure? Dennis Covington pursued answers to these questions for years, traveling deep into places like Syria, Mexico, and the American South. Looking not for rigid doctrines, creeds, or beliefs--which, he says, can be contradictory, even dangerous--he sought something bigger and more fundamental: faith. It's faith in goodness, kindness, and the humanity of the smallest moments that makes the most difficult times bearable. The young bomb victim who offers a smile from his hospital bed, the grieving parent who shares a photograph, the joined hands of men who were previously mortal enemies, and Covington's own family turmoil. These are some of the moments that leave him touching the beating heart of what it truly is to live. Like Covington's widely celebrated Salvation on Sand Mountain, Revelation is an intensely personal journey that goes to the edges of a world filled with violence and religious strife to find the enduring worth of living.